Appreciative Inquiry and visual facilitation brings people together with positive energy to achieve more in a day than they ever thought possible. Visual Strategic Planning: Strategic plans are often dry documents that sit on a shelf. Visual strategic planning is an action-oriented, engaging way to create a vision, identify elements of an organization or department's desired future, and create action plans to achieve that desired future. 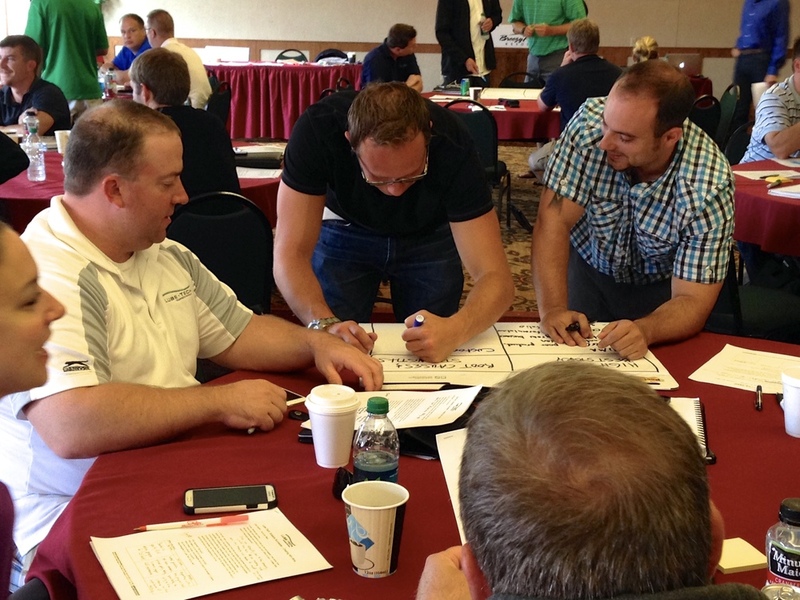 Staff will physically engage in ways that bring the plan to life; often developing a strategic plan in a single day. Moreover, a visual strategic plan can be communicated immediately and moves people to act. Effective Teams: An organization is only as healthy as it's executive team. Effective teams require trust, constructive conflict, commitment, accountability and results. Next, effective teams are clear about why they exist, how they behave, what they do, and have a strategy and discipline for success. Utilizing concepts from Patrick Lencioni and positive psychology, I help groups transform into healthy, effective teams. Appreciative Inquiry (AI) is a change methodology that turns traditional problem solving approaches on their head. The underlying assumption of traditional problem solving is, let’s fix what’s wrong and that will make us prosper. This is misguided and limiting. Focusing on what is broken is energy zapping and often, ineffective. Instead, AI begins with the positive - what works, and what can be learned from that to create more successes. It is about intentionally creating a desired future. AI does not ignore problems but rather, goes further to visualize a desired future and identify the practical steps and accountabilities to achieve that future. AI brings together people closest to the work to garner insights and commitment. This allows change to happen faster while avoiding the limitations of cascading, traditional top down change processes.